Dear daughter and I were going to go to one of the local pools, but it was packed! 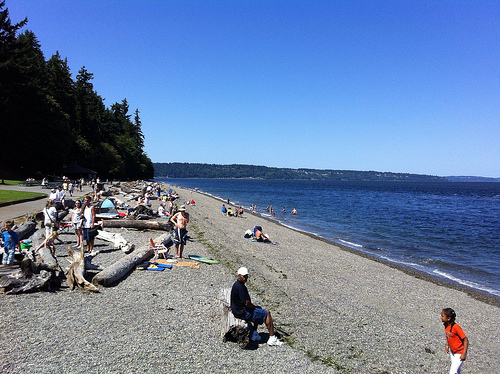 So, I suggested Owen’s Beach in Point Defiance, Tacoma. It was a great choice.The weather was perfect, there was a comfortable crowd and I found a parking spot in the shade. 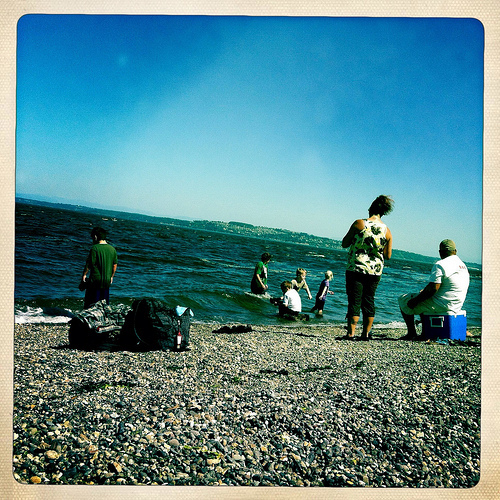 We were bold and went out into the water and some nice lady was right when she said that it wasn’t cold after about five minutes. That’s because my feet had lost all feeling! The park, which was named for Floyd E. Owen, a Metro Parks employee of 48 year, has plenty of shoreline/beach, picnic areas, restrooms and a concession stand. 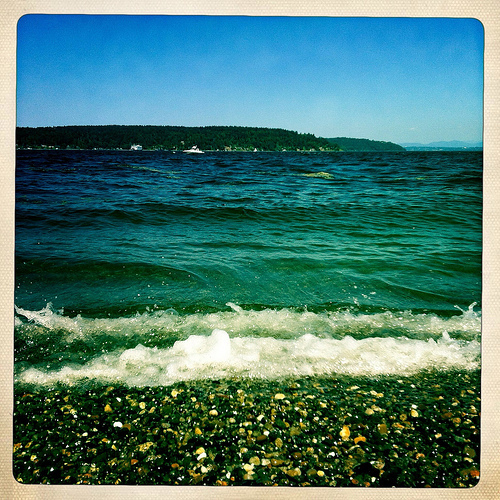 This entry was posted in Parks, Tacoma, WA State - Pierce County and tagged beach, cold, Floyd E. Owen, Owen's, Owen's Beach, Park, picnic, Point Defiance, puget, sound, Tacoma, water on August 15, 2012 by admin.